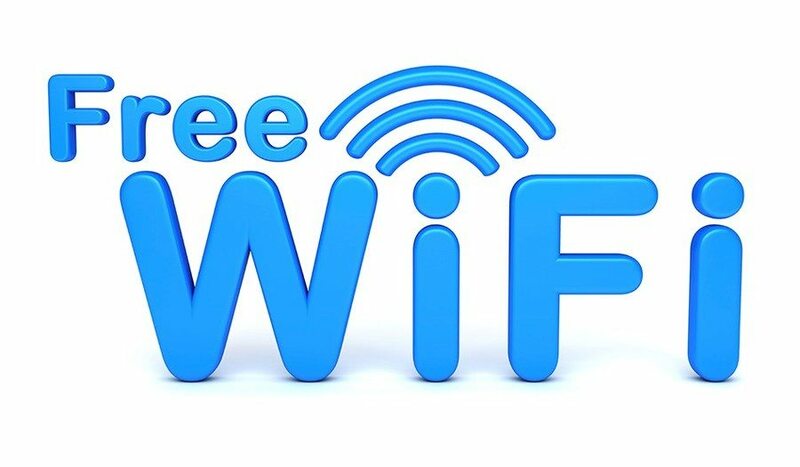 This is a free Hotspot wireless internet Service (the “Service”) provided by ClubAltitude for use by customers of ClubAltitude. All users are required to log-in individually as an independent user. 1.4 These Terms and Conditions do not alter in any way the terms or conditions of any other agreement you may have with ClubAltitude for products, services or otherwise. This agreement contains disclaimers and other provisions that limit our liability to you. 2.2 You agree not to resell or re-broadcast any aspect of the Service, whether for profit or otherwise. You accept that your entitlement to use the Service is for your personal use only and that you shall not be entitled to transfer your entitlement to use the Service to any other person or allow any other person to make use of the Service or of any username or password or your ClubAltitude FAMILY Card number or other entitlement supplied to you in connection with the Service. 2.3 You also agree not to modify the Unit or use the Service for any fraudulent purpose, or in such a way as to create damage or risk to our business, reputation, employees, subscribers, facilities, third parties or to the public generally. 2.4 You have no proprietary or ownership rights to any username or password or to a specific IP address, or e-mail address assigned to you or your Unit. We may change such addresses at any time or deactivate or suspend Service to any address without prior notice to you if we suspect any unlawful or fraudulent use of the services. 3.1 ClubAltitude does not control, nor is it in any way liable for, data or content that you access or receive via the Service. The Internet contains unedited materials, some of which may be sexually explicit or offensive to you. Whereas ClubAltitude use efforts to restrict such content ClubAltitude has no control over and accepts no responsibility for such materials. 3.2 ClubAltitude is not a publisher of third-party content that can be accessed through the Service and is not responsible for any opinions, advice, statements, services or other information provided by third parties and accessible through the Service. You are responsible for evaluating such content. 3.3 It is your responsibility to evaluate the value and integrity of goods and services offered by third parties accessible via the service. ClubAltitude will not be a party to nor in any way be responsible for any transaction concerning third party goods and services. You are responsible for all consents, royalties and fees related to third party vendors whose sites, products or services you access, buy or use via the Service. 3.4 ClubAltitude does not guarantee the accuracy, completeness or usefulness of information that is obtained through the Service. 3.5 If you choose to use the Service to access web sites or content provided by third parties or purchase products from third parties, then your personal information may be available to the third-party provider. The way third parties handle and use your personal information related to the use of their services is governed by their policies and ClubAltitude has no responsibility for their policies, or third parties’ compliance with them. 3.6 ClubAltitude is providing this Service to customers free of charge, and is intended to support general web browsing activities. Due to limited bandwidth and to ensure a consistent experience for all customers, our Wi-Fi does not support high-bandwidth actions such as streaming music, streaming video or downloading large files. THE SERVICE IS PROVIDED ON AN “AS IS” BASIS AND WITHOUT WARRANTIES OF ANY KIND, EITHER EXPRESS OR IMPLIED, INCLUDING, BUT NOT LIMITED TO, WARRANTIES OF TITLE, MERCHANTABILITY, NON-INFRINGEMENT, OR FITNESS FOR A PARTICULAR PURPOSE WHICH ARE EXPRESSLY DISCLAIMED. YOU ASSUME ALL RESPONSIBILITY AND RISK FOR USE OF THE SERVICE. ClubAltitude DOES NOT AUTHORIZE ANYONE TO MAKE A WARRANTY OF ANY KIND ON OUR BEHALF AND YOU SHOULD NOT RELY ON ANY SUCH STATEMENT. NEITHER WE NOR OUR OFFICERS, DIRECTORS, EMPLOYEES, MANAGERS, AGENTS, DEALERS, SUPPLIERS, PARENTS, SUBSIDIARIES OR AFFILIATES WARRANT THAT THE INFORMATION, PRODUCTS, PROCESSES, AND/OR SERVICES AVAILABLE THROUGH THE SERVICE WILL BE UNINTERRUPTED, ALWAYS AVAILABLE, ACCURATE, COMPLETE, USEFUL, FUNCTIONAL OR ERROR FREE. EVEN IF ClubAltitude HAS BEEN ADVISED OF THE POSSIBILITY OF DAMAGES, WE WILL NOT BE LIABLE TO YOU OR ANY THIRD PARTY FOR ANY DAMAGES ARISING FROM USE OF THE SERVICE, INCLUDING WITHOUT LIMITATION: PUNITIVE, EXEMPLARY, INCIDENTAL, SPECIAL OR CONSEQUENTIAL DAMAGES, LOSS OF PRIVACY OR SECURITY DAMAGES; PERSONAL INJURY OR PROPERTY DAMAGES; OR ANY DAMAGES WHATSOEVER RESULTING FROM INTERRUPTION OR FAILURE OF SERVICE, LOST PROFITS, LOSS OF BUSINESS, LOSS OF DATA, LOSS DUE TO UNAUTHORIZED ACCESS OR DUE TO VIRUSES OR OTHER HARMFUL COMPONENTS, COST OF REPLACEMENT PRODUCTS AND SERVICES, THE INABILITY TO USE THE SERVICE, THE CONTENT OF ANY DATA TRANSMISSION, COMMUNICATION OR MESSAGE TRANSMITTED TO OR RECEIVED BY YOUR DEVICE, ACCESS TO THE WORLD WIDE WEB, THE INTERCEPTION OR LOSS OF ANY DATA OR TRANSMISSION, OR LOSSES RESULTING FROM ANY GOODS OR SERVICES PURCHASED OR MESSAGES OR DATA RECEIVED OR TRANSACTIONS ENTERED INTO THROUGH THE SERVICE.